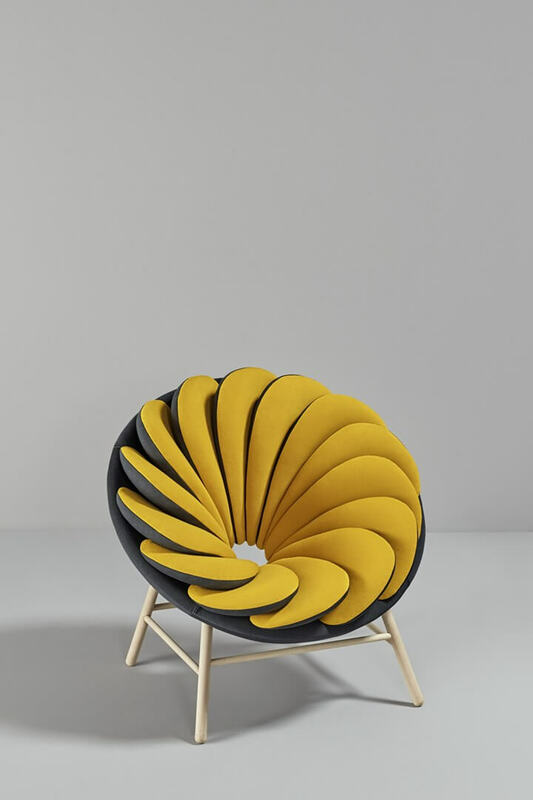 Missana’s new armchair was designed by French designer Marc Venot. He is one of the country’s most popular professionals. Its creation showed us that an armchair could be as interactive as any other object. 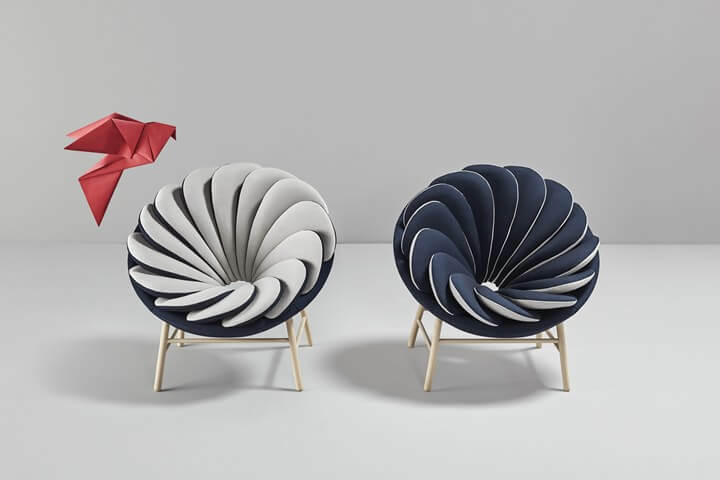 The visual piece of furniture features a color duality that takes inspiration by the magical feeling we experience when watching a quetzal bird taking off. The warm colors of its natural habitat – in South America – were also inspirations. The visual impact of the bird’s feathers are evident in the design. As Marc’s Quetzal changes the colors in a second, as it features 17 overlapped bicolor pillows. The fabrics and colors resemble the bird’s balance and harmony. Most of all, with the goal of causing sensations in whoever sees and sits in the armchair. Quetzal is sure to bring life to any room. 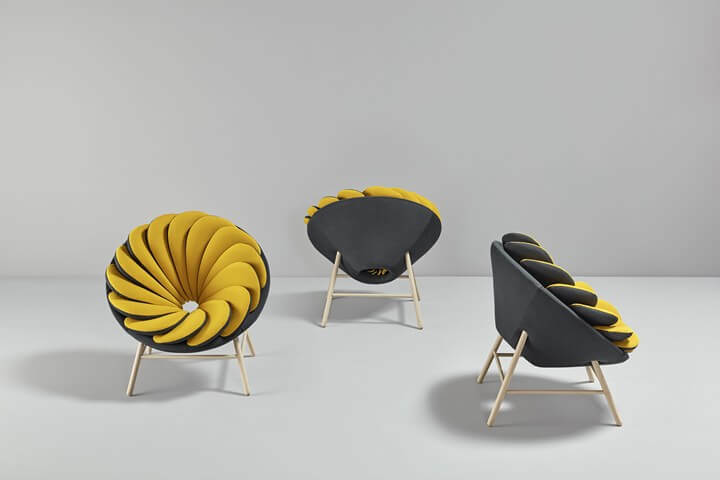 Finally, the combination of the Graphite gray fabric with the yellow Honey and the original shape of the chair are examples of how design and class come together. This is one of the most striking and unique pieces we have seen lately.